Hobbits & Hairdye: Princess Peach // feat. Bleach London. Princess Peach // feat. Bleach London. I find that I get so bored with my hair during the winter months, it just always feels so dull and meh. I also find that when the weather is so dull outside it's nice to brighten things up a bit. Hence my latest hair venture. 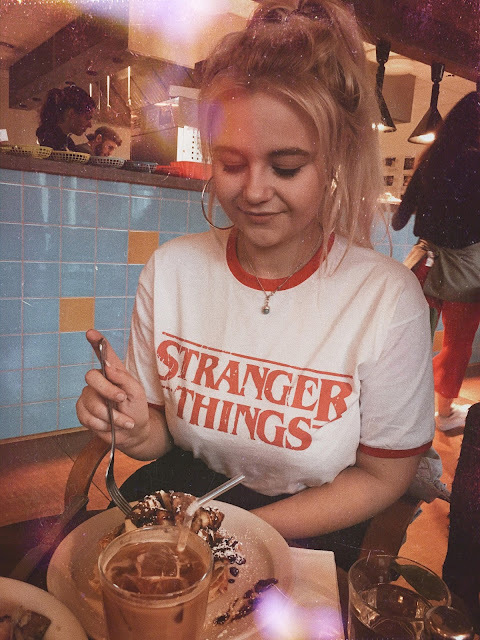 I've been peach before, around spring 2016 and I was absolutely obsessed with it, but I had it just before I went travelling so it didn't stay too long for practicality reasons. Now it's time to revisit it properly and give it the attention it deserves. 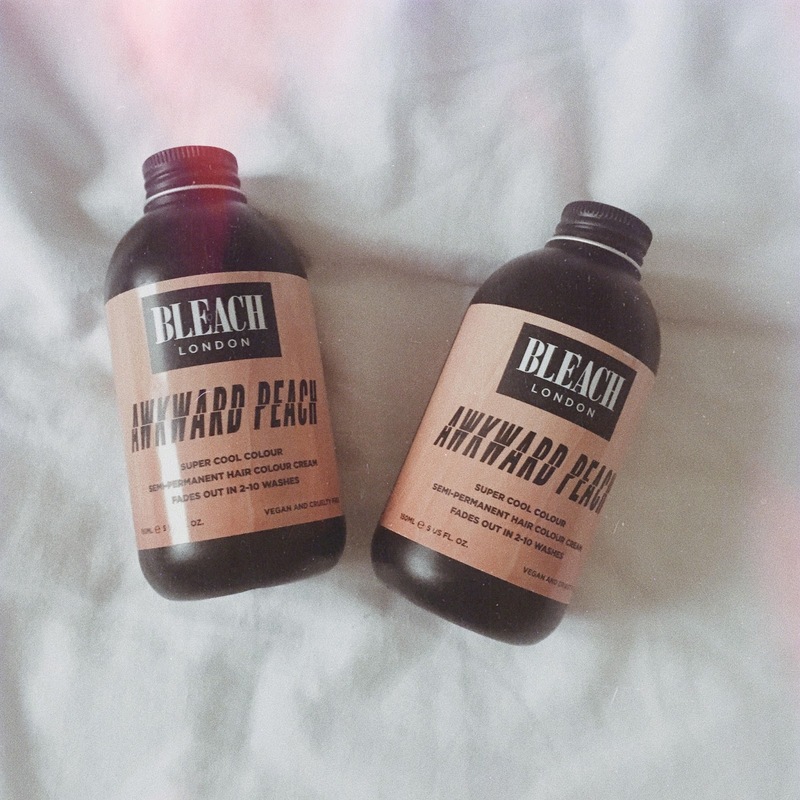 We're back with an old favourite; Bleach London. I always come back to these dyes because they are so easy to use, and they always give really nice colours. 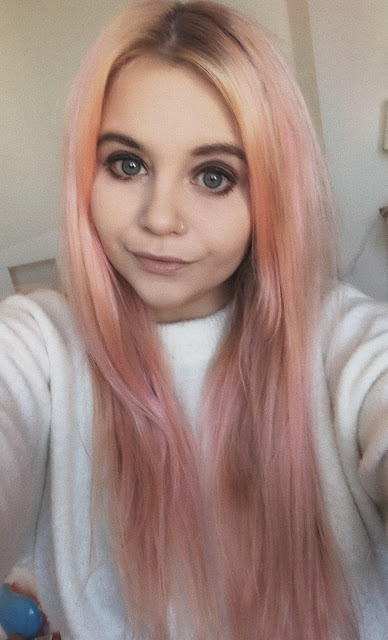 Awkward Peach was the dye I used when I dyed my hair peach last time so I thought it would be a safe one to go for. I'm not sure whether they've changed the formula of the Awkward Peach dye as it came out a lot more pink than I wanted it to and that I remember it doing last time. Once I'd washed and dried it, I added some of the Washed Out Orange dye to try and add some more of the peachy tones into it. Despite adding some of the orange dye on top, the overall colour is still quite pinky which isn't ideal. The peach has taken quite well at the top of the hair but the lengths and ends are a bit more pinky than I'd have liked. I do like that it gives it a bit more depth and different layers to the hair though. Once the colour has faded a bit more I will probably just add some more of the orange on to get it to more of a peachy colour all over. Despite it not turning out 100% how I wanted it, I am still really happy with the colour and for a first run it isn't bad at all. I'm looking forward to seeing how it fades as I think that could add some nice tones throughout the hair. Once I've got it more how I've wanted I'm sure I'll report back. What are your thoughts on peach hair? Your peach coloured hair looks very pretty! 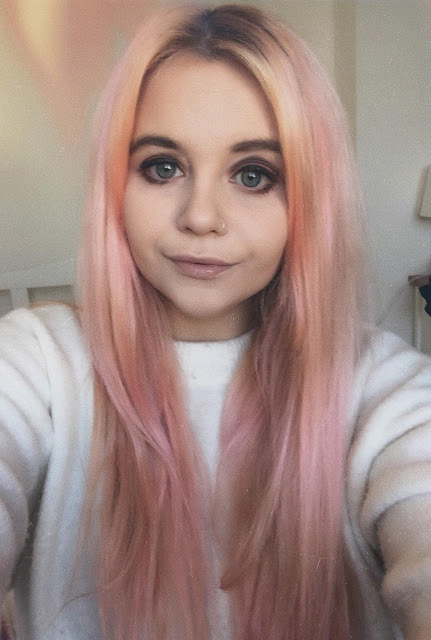 As for what colour(s) to try next, I am a little bit partial to pink and to blue, but I know you will look continue to look adorably pretty no matter what hair colour you decide on!